Jesus was a perfect, sinless Man. He always walked in the ways of His Father, following His will perfectly. The Apostle John writes that “whoever says he abides in him ought to walk in the same way in which he walked” (1 John 2:6). 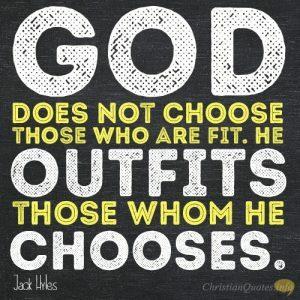 If we are walking in the ways in which He walked–and that is walking in obedience to the Father–then we know He has already literally walked in our same shoes. 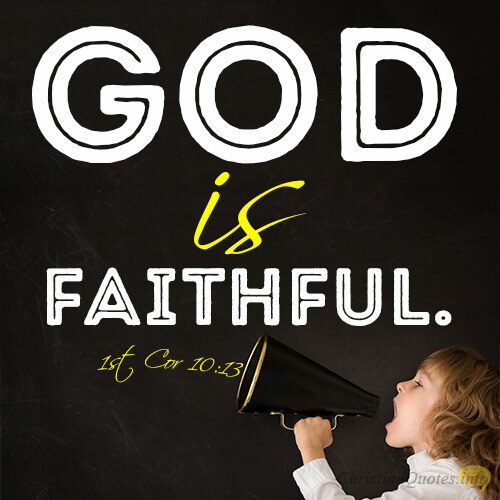 Hopefully, most Christians will keep the commands of the Father because Jesus kept them first. He walked in obedience in every respect, so when we do, we know He’s been the trailblazer in that regard. Jesus equated our keeping His commands with His keeping His Father’s commands. If we do also, then we know that He too walked in these same shoes of obedience, for He said, “If you keep my commands, you will remain in my love, just as I have kept my Father’s commands and remain in his love” (John 15:10). No one has suffered like Christ did, but “to this you were called, because Christ suffered for you, leaving you an example, that you should follow in his steps” (1 Pet. 2:21). If we walk in these same steps and follow them, we know that He walked this way first. 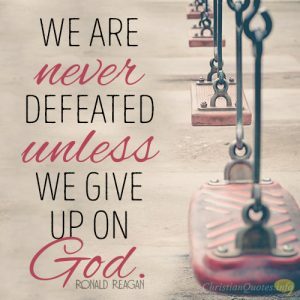 Almost every friend and family member I have is not saved, and I have been ridiculed and despised for my faith in Christ. But know this: “He was despised and rejected by men; a man of sorrows, and acquainted with grief; and as one from whom men hide their faces he was despised, and we esteemed him not” (Isaiah 53:3). Therefore, if we are acquainted with grief, despised, rejected and have experienced sorrow, then know this: He has walked in our shoes but suffered exceedingly more, of course. We have a High Priest in Christ Who knows what it feels like to be tempted, making Him the perfect Mediator for us, “for we do not have a high priest who is unable to sympathize with our weaknesses, but one who in every respect has been tempted as we are, yet without sin” (Heb. 4:15). Jesus understands our temptations and what it feels like to grow tired, hungry, and thirsty. So know this: Jesus has walked ahead of us in these things first, which is why “he had to be made like them, fully human in every way, in order that he might become a merciful and faithful high priest in service to God, and that he might make atonement for the sins of the people” (Heb. 2:17), “because he himself suffered when he was tempted, he is able to help those who are being tempted” (Heb. 2:18). 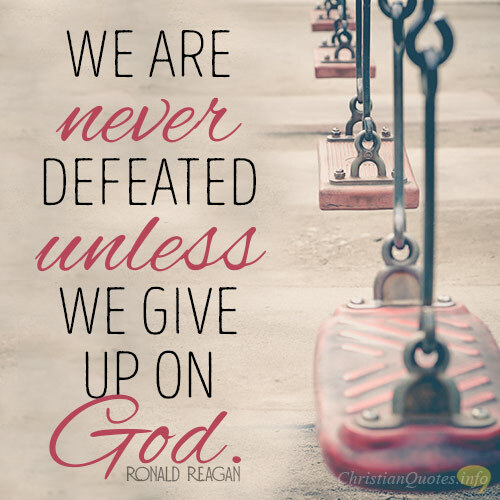 So let us keep “looking unto Jesus the author and finisher of our faith” (Heb. 12:2a). Jesus walked in our shoes in every way, walking where we have walked, obeying what we have obeyed, suffering what we have suffered, and tempted in the ways that we’ve been tempted. 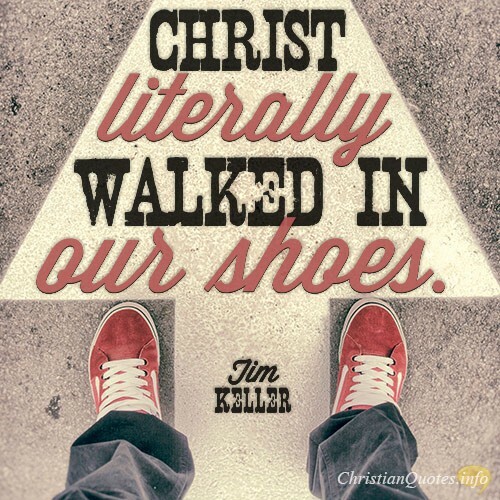 So the fact is, Christ literally walked in our shoes.